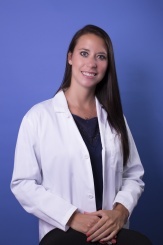 Jami King, PA-C, Certified Physician Assistant, brings a wealth of experience to our practice. Jami has been with our practice for over a year now; relocating to Ohio from Baltimore, Maryland where she was the Physician Assistant to the Department of Obstetric and Gynecology on the labor and delivery floor. As a licensed Physician Assistant by the State Medical Board of Ohio Jami can assess, treat and prescribe medications and order tests. She has privileges at both hospitals, Akron General Medical Center and Summa Health System. Jami will most likely be the one you see at the hospital before you are discharged. Her extensive experience in conducting patient assessments and developing plans of care for your treatment were a part of her education. Jami is available for all types of appointments and has a special fondness for treating OB patients. Jami will also schedule appointments for urgent same day care, annual check ups, birth control and menopause counseling. While not in the office Jami enjoys fitness activities and has a passion for competitive dancing. Her move to Akron brought her closer to family. Jami is a such pleasure to be around. We are so excited that she is part of our team of caring professionals. The American Academy of Physician Assistants and the American Congress of Obstetrics and Gynecologists.